BJP MP Savitribai Phule resigned from the party on Thursday, saying it is dividing society. 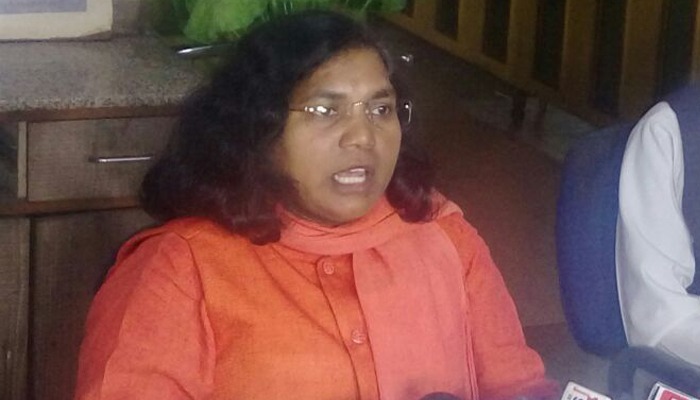 Lucknow: BJP MP Savitribai Phule resigned from the party on Thursday, saying it is dividing society. The MP from Bahraich, Uttar Pradesh, has long been critical of the party's leadership. The Dalit leader said her objective was to get the Constitution implemented in letter and spirit. "I have resigned from the party. But I will continue as a Lok Sabha member till the end of my tenure," she said in Lucknow. She said she will launch an agitation to champion the cause of Dalits from December 23, adding that the country needs a Constitution not a temple. Phule has been attacking the BJP and its governments at the Centre and in Uttar Pradesh for their alleged indifference to the concerns of Scheduled Castes.